The default Subpage is your basic page layout for most general-purpose interior pages of the website. 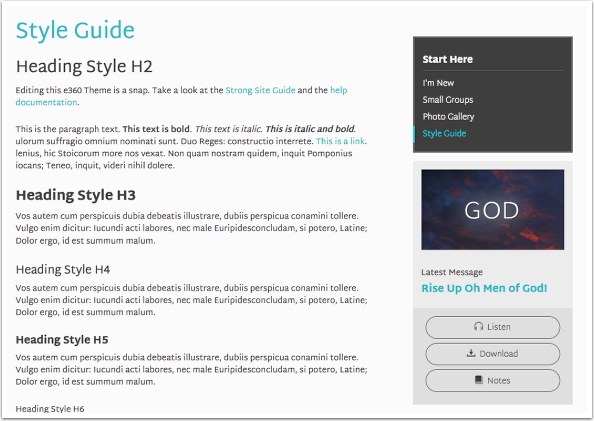 This template is a two column layout and serves as your page default template. To create a new Page, navigate to CONTENT > PAGES > ADD NEW PAGE. Then add your content and set to live when you are ready. 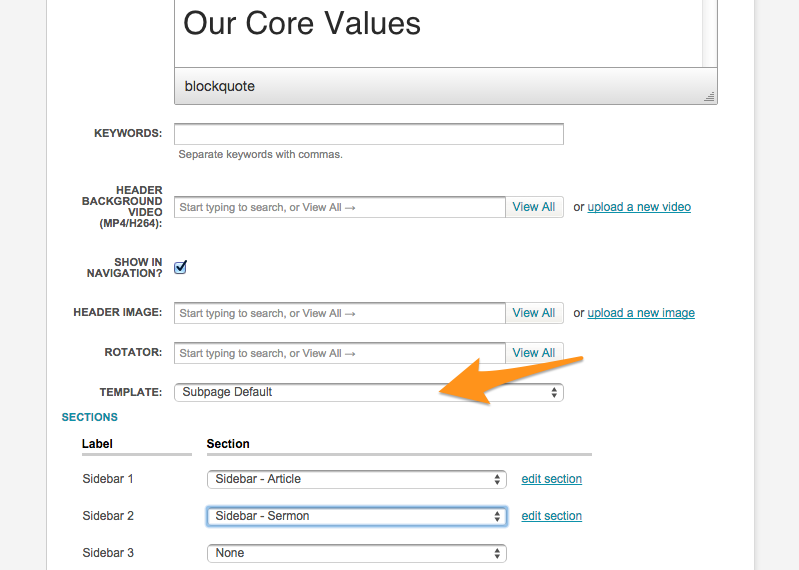 Click here for more information on adding a header image to a page with the subpage default template.